The past week or two have continued the making things theme. I have done a series of tuning keys as test-runs; I have made a page advertising them which I will send out for my 1st May Emporium Update. 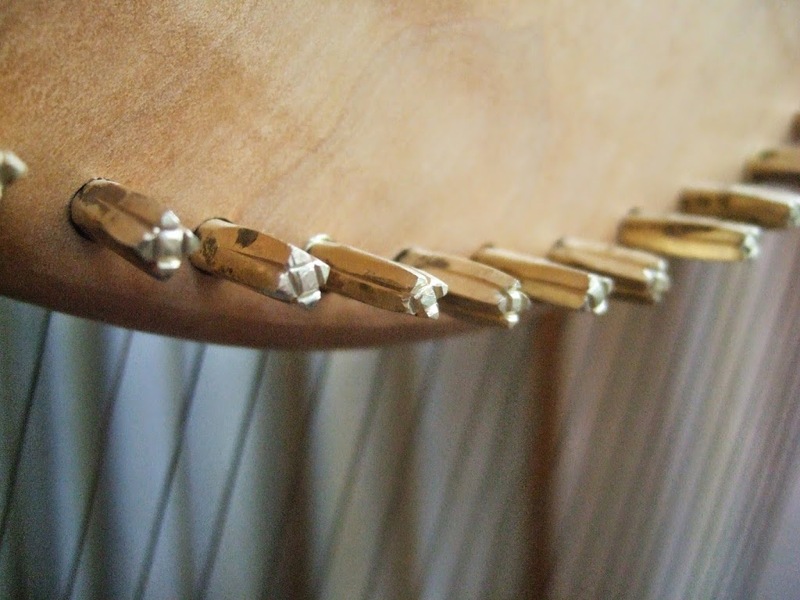 I also have made the set of pins for my HHSI Student Downhill harp, and today while it was here with my student who has it, I fitted the pins – pulling each of the old steel pins out in turn and then replacing it with a new brass pin. I had to shim all of the brass pins because for some reason they are marginally smaller than the steel pins, and I used thin brass sheet to make the shims. 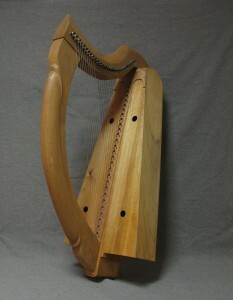 Plenty of the antique Gaelic harps have brass shims in their pin holes and I find it works well. 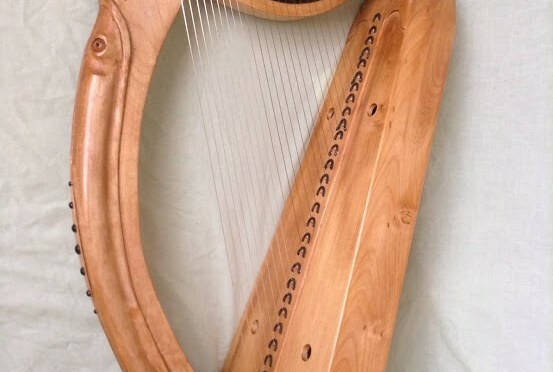 We instantly noticed how much better the harp worked to tune, with the new pins – the key fits much more snugly on the new pins with their tapering drives, giving a much more positive touch to the tuning. And the new pins look rather good with their decorated drives. I am very pleased with the result. I have always thought that handmade pins with tapering drives work so much better than machine made steel pins with parallel drives, but inertia has meant I have not bothered doing anything about it until now. 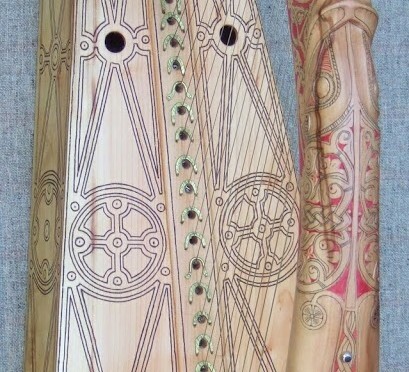 Hardly anyone has handmade pins on their harps, even top players with quality decorated instruments. I can only think of 3 or 4 off the top of my head. I am going to make a few more pins and then I think I will make a page advertising them for sale for the 1st June update! 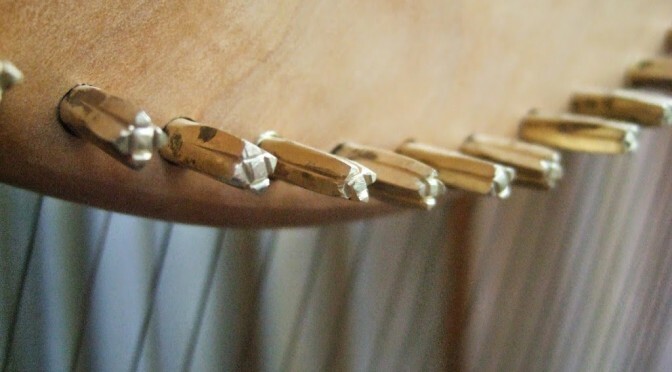 I think that this would make a fantastic upgrade to anyone’s harp, to replace the pins! However after a while I realised this was a great opportunity. I made this key not too long after the harp was new, and while it was comfortable to use with its roundwood quince handle from the garden here, the rectangular socket was always a bit oversized and was loose on all the pins. Also it was rather “rustic” in appearance. So today I made a new key for the Queen Mary harp. This one builds on my experience making the first. 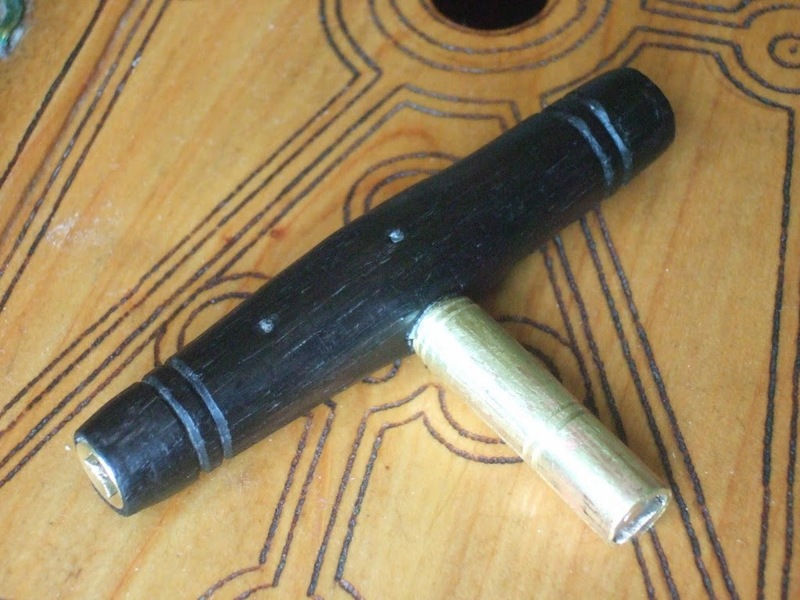 The design is the same – a T shaped pin, with a brass socket made from a rod soldered inside a tube, the end of the rod slit with saw and files to fit the drives. The second socket, from a large clock key, fits in the end of the handle. 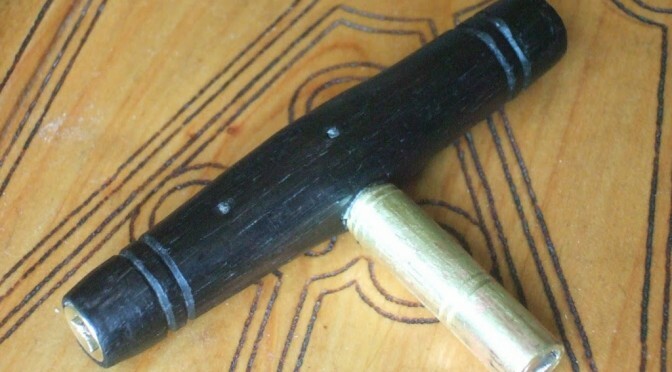 Both sockets are fixed in with little brass pins running through the wood, and secured with glue to stop them shifting. For the handle of this key I used a piece of ancient Irish bog oak which Davy Patton gave me years ago. I had thought of carving medieval West Highland designs into it, and even gilding the designs, but as the handle took shape it became very spare and elegant. The bog oak does not carve very cleanly anyway. 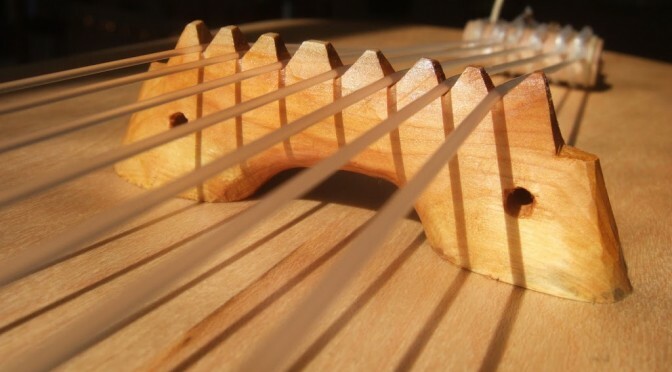 So in the end the only decoration was a pair of parallel incised bands at each end of the handle and each end of the main socket shaft, echoing the pairs of incised bands on the Queen Mary harp tuning pins. More info from his website. Pedro Ferreira is a Portugese instrument maker who produces exquisite clavichords and other baroque instruments. 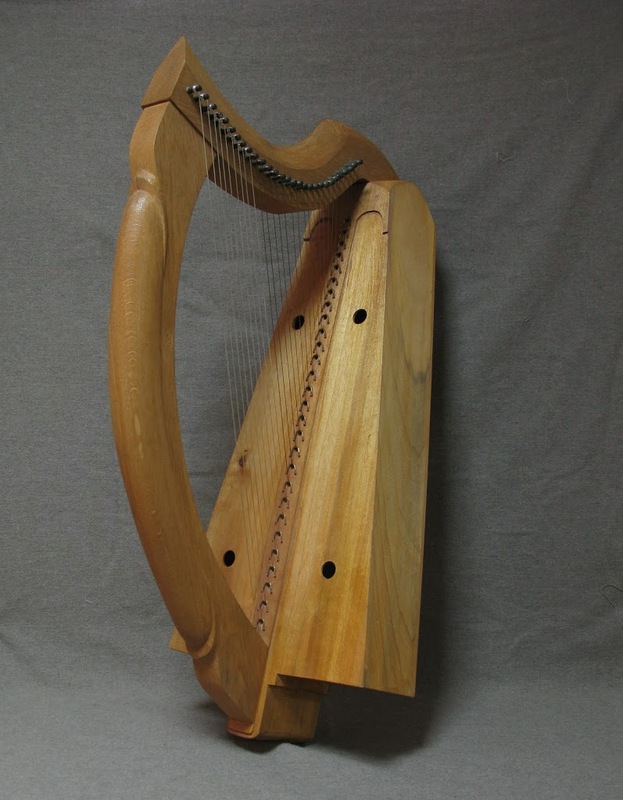 His Gaelic harp is also based on the Queen Mary harp; this is a slightlier simpler prototype I think. 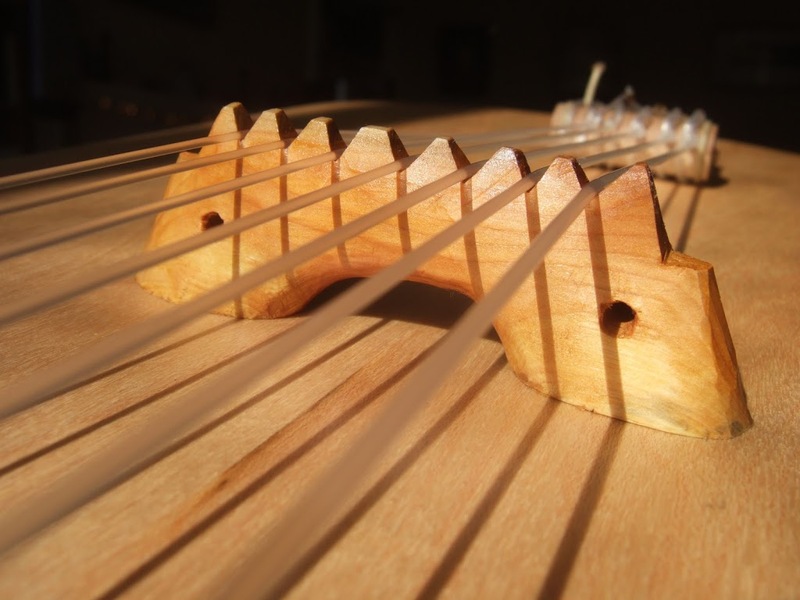 I am very excited to see a luthier with this amount of experience on sophisticated historical instruments turn their attention to our harps. You can get more from his website or from his Facebook page. As yet I have not seen either of these instruments in person, and I have not had a chance to play them or listen to them. Both of these harps have followed my ‘student’ stringing regime with brass in the treble and mid-range and sterling silver in the bass. I am sure both of them would benefit greatly from having gold strings in the bass instead of silver! 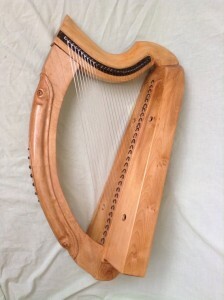 Recently I wrote a new page on earlygaelicharp.info, about possible inscriptions on the Queen Mary harp. As part of this I reviewed my photographs of the labels glued on the harp labelling some of the strings, and then I had the idea of photoshopping and cleaning up the photos, scaling them, printing them out and glueing them onto my replica in the appropriate positions. For those of you with a Queen Mary replica who want to join in the fun, here is the image I ended up with. Print it out at 486dpi onto good old fashioned white or off-white laid paper, cut out along the black edges, and stick on using flour and water paste. 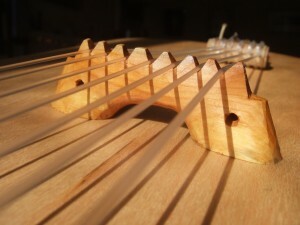 The numbers go on the right hand side* of the string band (so they are visible for a left orientation player), and they are upside-down when the harp is in playing position, so the player can read the letters. 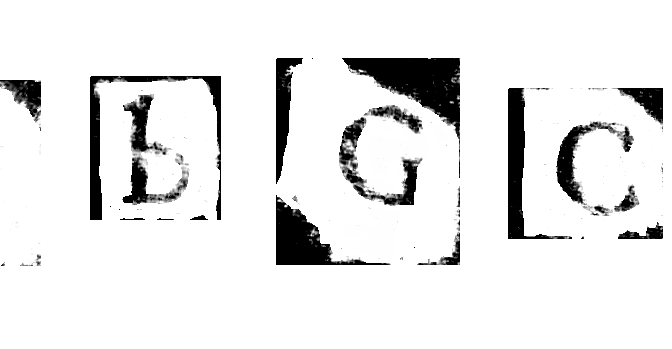 They go in order, counting from the treble: 1 [illegible], 8 [c], 9 [b], 11 [G], 15 [C], 22 [C]. Any problems or questions let me know! If you send in a photo of your harp with the labels stuck on, I will feature it here!